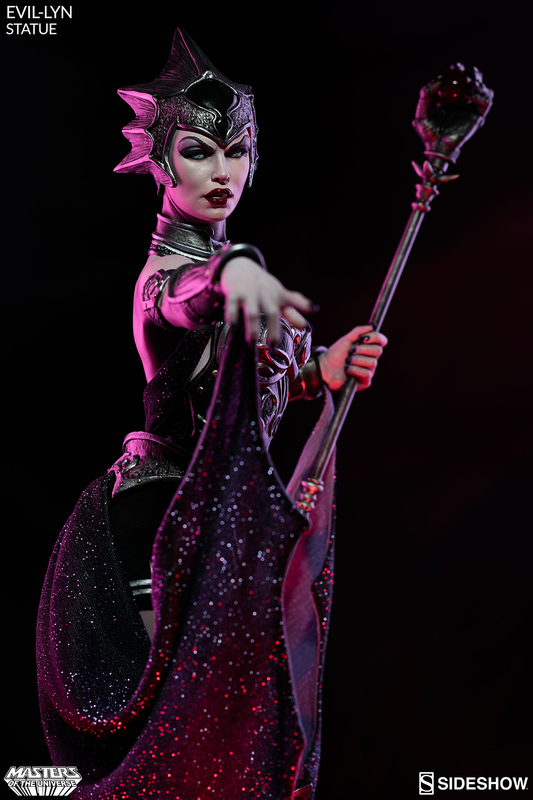 Sideshow Collectibles continues its Masters of the Universe statue line with the Starscream to Skeletor’s Megatron, Evil-Lyn. 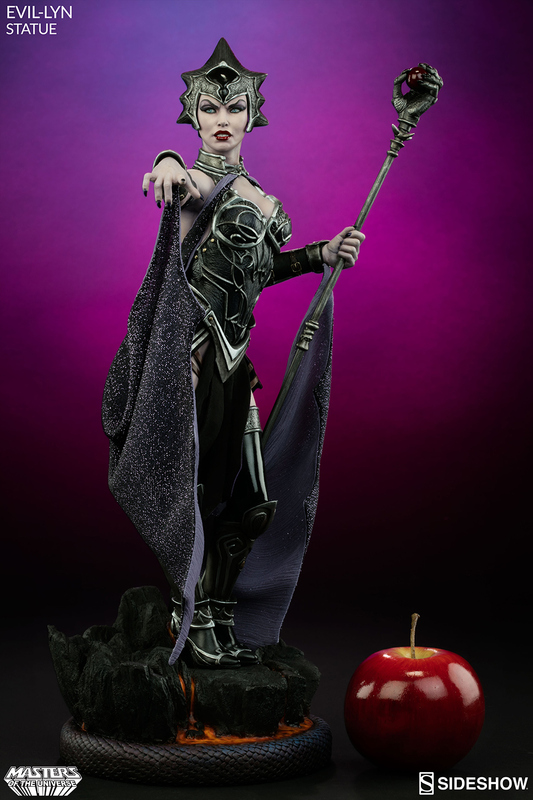 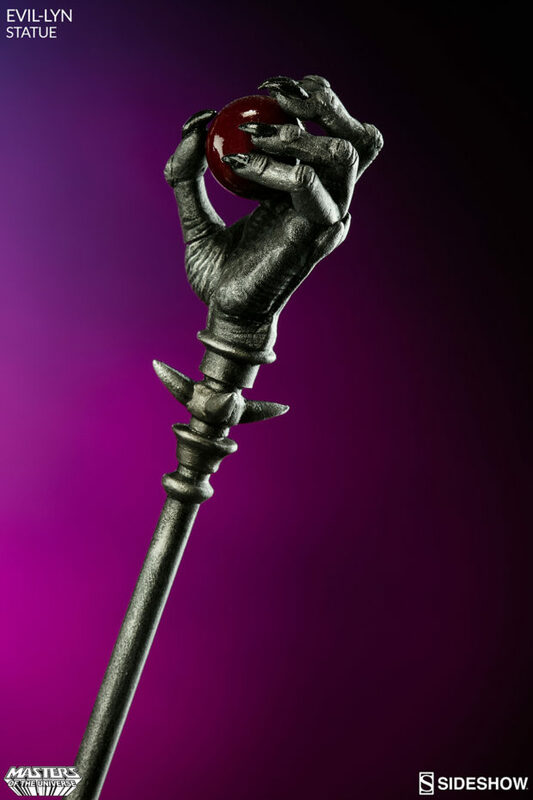 The ambitious and deceptive sorceress stands 21.5″ tall and comes with her trademark staff. 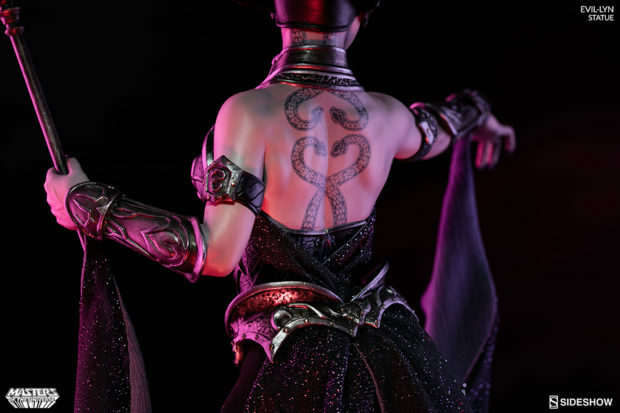 She also has a dope snake tattoo covering her upper back. 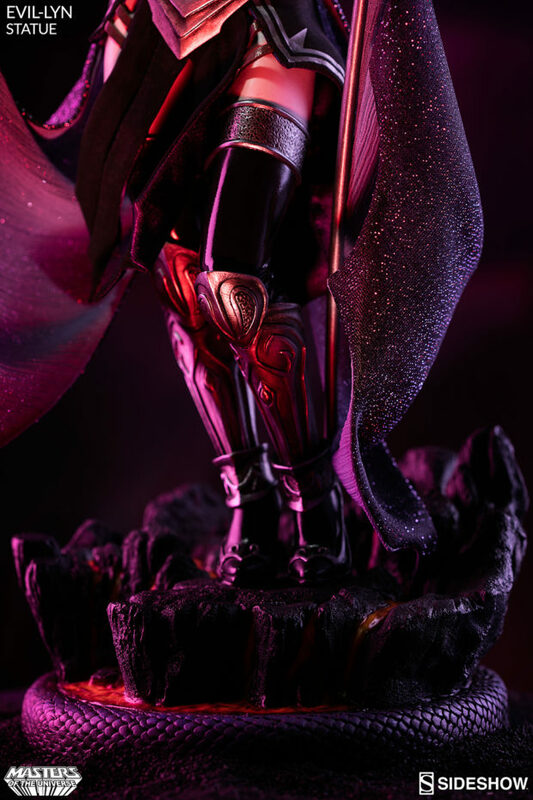 It’s not in the product page, but as you can see in the unboxing video, the statue’s exclusive version also comes with a raven. 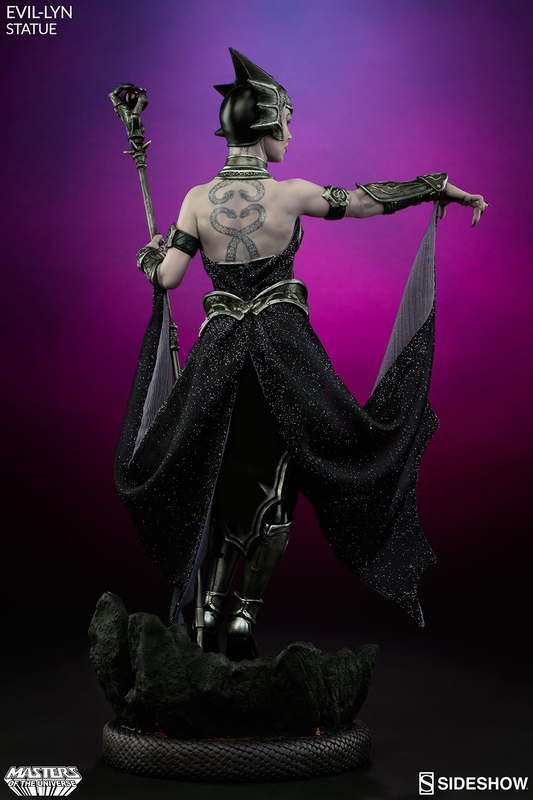 It would’ve been more awesome if she came with an alternate cartoon head, but that’s just me. 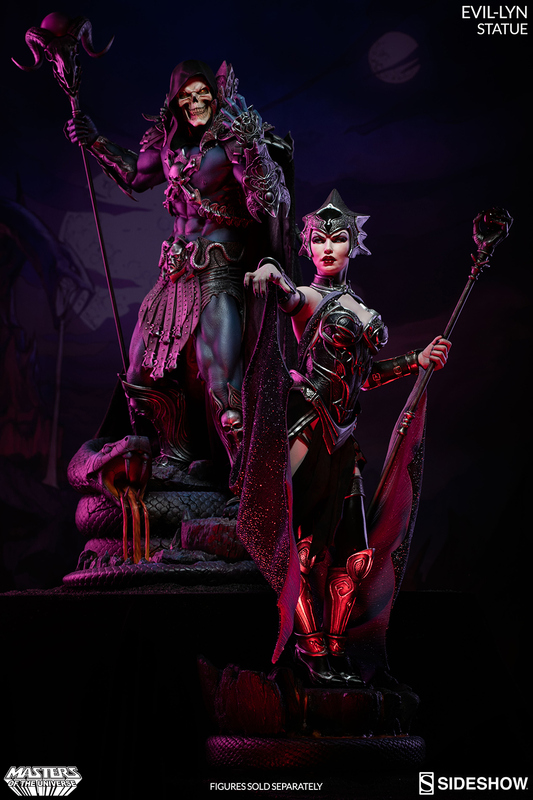 You can pre-order the statue for $440 (USD).